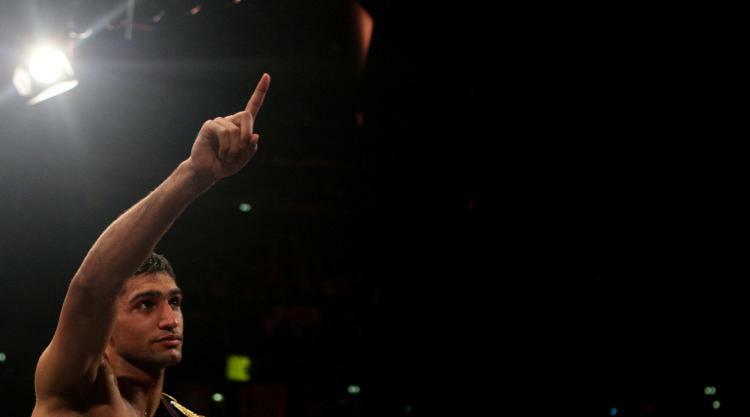 Amir Khan has welcomed the move to allow professional boxers to compete at the Rio 2016 Olympics and admits he "would love" to fight for Pakistan this summer. At an extraordinary congress on Wednesday, the International Boxing Association (AIBA) voted in favour of the motion to grant professional fighters eligibility for the Olympics - as Press Association Sport reported it would in February. The World Boxing Council and British Boxing Board of Control have been critical, but it will be for each country's national federations to choose whether this is something they wish to pursue. GB Boxing oversees Great Britain's Olympic boxing programme, and has refused to rule out exploring the option of taking a professional fighter to Rio, but it appears Khan will not be one of them. Khan, who rose to prominence in 2004 when he claimed gold for Great Britain at the Games in Athens, is instead looking into the possibility of representing Pakistan, the country of his father's birth. The 29-year-old's younger brother, Haroon, was not allowed to represent Pakistan at London 2012 having already featured for England as a youth boxer but Khan is still keen to pursue the option. Speaking at a press conference in Karachi, Khan is quoted as saying in several national newspapers: "It will help boxers and if I am permitted as per rules and from my promoter then I would love to compete for Pakistan. "I will be very happy if I can compete in the Olympics. I want to serve Pakistan." While Khan has backed AIBA's decision to give professional fighters permission to compete in Brazil, Carl Froch has criticised the move, believing it would reduce the "prestige" involved in winning a gold medal. "I feel it's better being left to the amateurs," Froch, 38, told Press Association Sport. "I still sort of regret when I look back, not qualifying for the Olympics. (But) If I went to the Olympics now as a professional, it wouldn't feel right, wouldn't feel the same. "I'm not sure any top professional, who's got a chance of becoming a champion, earning a lot of money, would want to join the amateurs. "You're going to get the odd one, but any current pro, who's desperate to be a world champion, would they want to risk going to the Olympics for a three-round format? "Overall, it's a bad move. It takes the prestige away from winning a gold medal in the Olympics. It doesn't feel right for me."